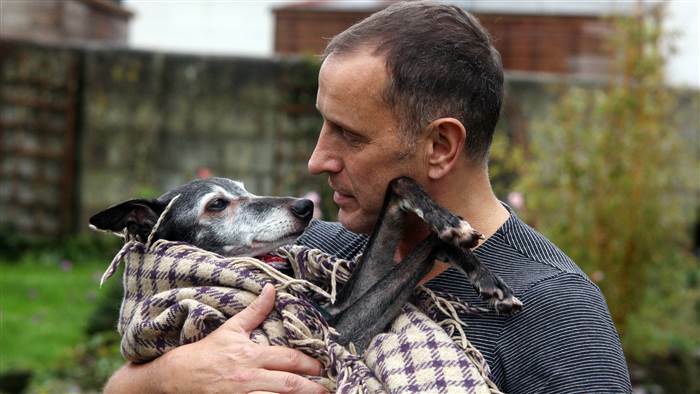 Mark Woods of Cornwall, England, loved his 18-year-old whippet named Walnut. So when it came time to put his beloved puppy down, he wanted to do something special on their last day together. 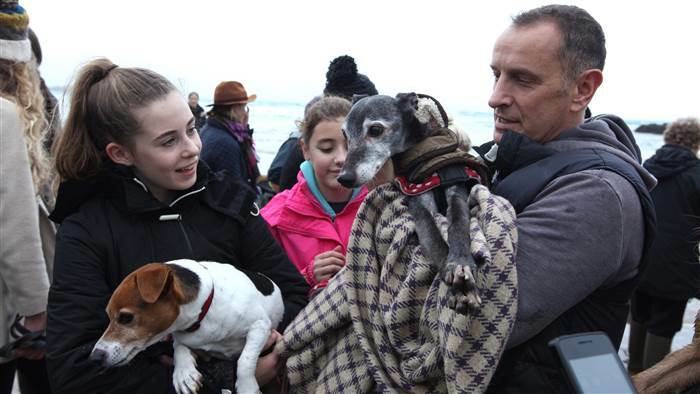 Woods decided on a final walk along the beach.Walnut came into Woods’ life when he was 35 years old. “I was searching for some emotional direction at that time of my life as I was really not too great at holding down relationships,” Woods, now 53, told TODAY via email.For years, Walnut had been Woods’ constant companion, calming nervous divers at the scuba diving center Woods owned, and chasing thousands of squirrels through London parks. 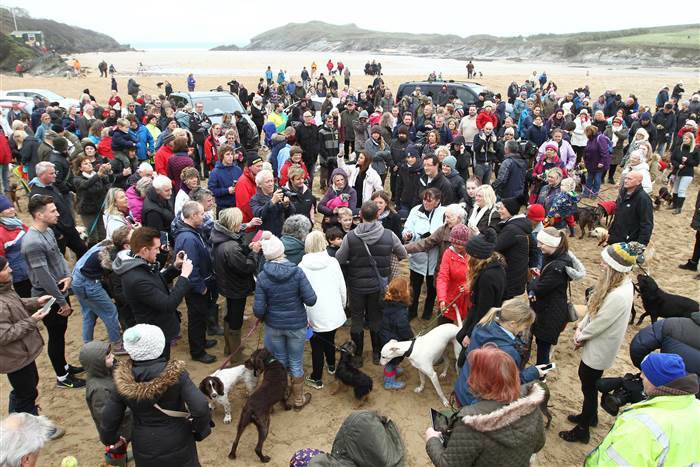 When they moved to Cornwall in 2012, Woods and Walnut would frequently walk up and down Porth Beach, so one last walk seemed a fitting way to celebrate his life.